It's Beginning To Look A Lot Like Christmas, In November! Is "Christmas Creep" Getting Out of Control? 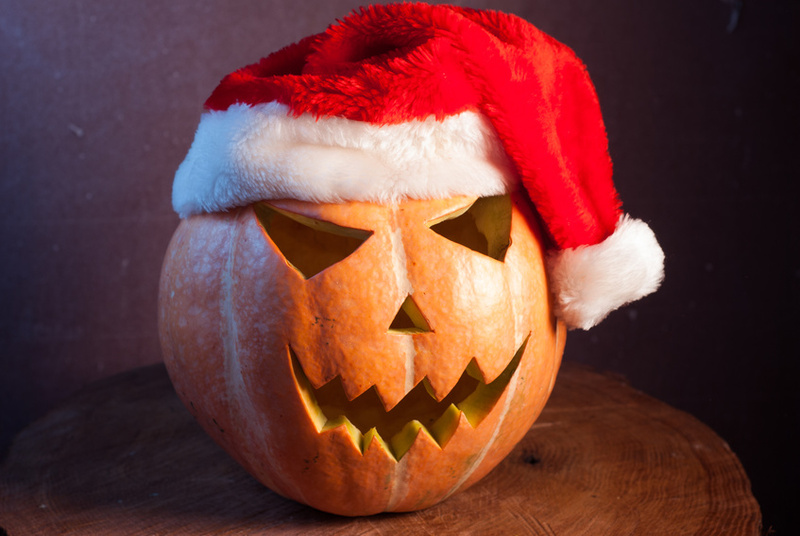 It's beginning to look a lot like Christmas – even when it's still Halloween. So what's going on? Has Ireland retained its Christmas spirit or have we really turned into a nation of Grinches? Has the festive season become overly-commericalised or are do we all need to get a grip, stop over-reacting and just enjoy ourselves? And what's really the most important part of Christmas? We wanted to know what you think! I went to get a chicken and salad sandwich at the local deli recently and was met with a bizarre sight – a Santa Claus / Jack O'Lantern turfwar. It was lunchtime on October 31st, a pumpkin and a santa sat on a counter staring each other down, while the staff were ripping down witches, binning bats and swapping out fake cobwebs for tinsel with the speed of a Formula 1 pit crew. Roll on quitting time, just around the same time when the kids started venturing out to go trick or treating, the shop had a Christmas tree in the window. Over the coming days I noticed more Christmas trees sprouting up. Then I spotted workmen up on ladders hanging Christmas lights. On grocery day I noticed my local Lidls had amassed armies of creepy chocolate Santas. They all eyed me with suspicion as I approached the checkout. By Friday the mobilisation was complete, in shop windows, on the radio, on TV, online, all the time. Then on Saturday, November 5th, my first Jingle Bells of 2016. It's a phenomenon known as Christmas Creep, and it seems to be accelerating rapidly, on a global scale. Americans get it worst of all, because they also have to squash another holiday in between, Thanksgiving, which they'll be celebrating Stateside this Thursday. Once that's over it's "Black Friday", the biggest shopping day of the year. And lately, even though we don't celebrate Thanksgiving on this side of the pond, it hasn’t stopped retailers from running Black Friday sales to whip us all into an American-style shopping frenzy. It's become the talking point of the season, this year in particular, so all the more reason to ask, what do you make if it all? Last week we ran a multiple choice survey, asking which statements you agreed with most and also invited you our to give your opinion on more detail over at our Facebook page. We asked you, first of all, whether you feel that companies advertise Christmas way too early. At the time of writing (November 22nd) a full 35% thought that Christmas creep is "getting a bid ridiculous these days", while a further 24% took an even harder line, agreeing that playing Jingle Bells in early November is nothing short of shameful. Of course 21% felt that at least it reminds them to start sorting the Christmas shopping, and finally, 20% of those surveyed echoed that old Wizzard song saying "I wish it could be Christmas every day." Christmas Spending – Out of Control? A whopping 47% of respondents agreed that Christmas spending has gotten out of control and feel that Christmas often puts a burden on families. 27% said they "try to stick to a budget" but doing so isn't always so simple. 25% agreed with the statement that "it's not about the spending, it's about spreading joy". And, in a break from tradition, so far we've had no angry complaints about the price of Christmas trees this year! "Throw out the pumpkins and throw up the tinsel!" – a full 39% believe that Christmas has become overly commercialised. 22% reckon that Christmas has always had a significant commercial element and a further 22% agree with the statement that everyone loves to receive AND give, presents. Finally, 17% of you guys think that Christmas is just a "racket" – sounds like we have some Scrooges in our midst! Is Ireland Loosing Its Christmas Spirit? 33% agree, saying that there's "more of a gimmie gimmie culture these days" with a further 33% saying "somewhat – it's not like how I remember it when I was young." That said 28% of you say that the Christmas spirit is alive and well in your home, while just 6% felt that the spirit has been dead "for years." Much of what we consider Christmas, from turkey to our familar red-suited Santa Claus, has come from America. Still, many people believe that this Americanisation has been ramped up in recent years. For example, a whopping 46% believe that people have become very competitive, especially when it comes to their Christmas light displays. 28% feel like the Americanisation of retail – the so-called Black Friday effect – has gotten ridiculous while 21% think Americanisation mostly refers to those sappy movies they show each year. Only 5% of you remember the days when turkey wasn't the standard Christmas dinner. It's always been turkey and ham at our house, though duck, goose and pheasant were once the more traditional choice. We've had a great response to all of you who took the time to give us your opinions on Facebook. We had some full-on Santas, who can't get enough of Christmas, and a couple of grumbly Grinches who'd prefer we all not make such a fuss. The general consensus, however, seems to be one festive caution; Christmas is a wonderful time to get together with your loved ones, but, as one commenter put it, "the stress of it takes away a bit of the magic." She also added that "Listening to ads in September talking about saving for Christmas next year drives me demented." Take solace, however, in the fact that you're not alone. It can be a stressful and expensive time of year since, but there's no much you can do since shopping and Christmas, for better or worse, are joined inextricably. Christmas shopping is a chore for many, but not a thankless one. Plus, annoying though it may be, there are obvious benefits - and not just emotional ones, financial ones too. Shopping generates trade which creates jobs and the more of those we have the merrier our collective Christmas becomes. But perhaps if we weren't so rushed we could enjoy the whole Christmas experience more. And this would also give us more time to spend more time with our family. So rather than bemoaning let's take action by grabbing the festive bull by the horns. One of commenters summed up it up perfectly; "Christmas is what you make it, at the end of the day its only one day where its family and friends catch up and reunite... you control your Christmas nobody else." In our line of business the Christmas season begins in earnest with the unveiling of the new Spanish Christmas lottery ad – for us that means yuletide Thunderbirds are go! This year's ad is quite possibly the most ambitious one yet – and also arguably the sappiest. The prizes, including the famous El Gordo jackpot, will be drawn on December 22nd, exactly a month from now, when a total of €2.3 billion will be given away! 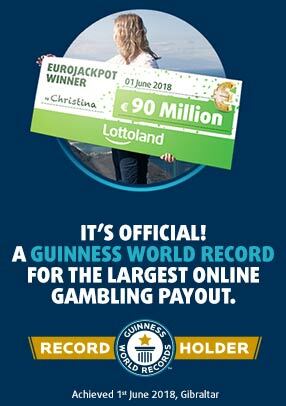 You might think winning the top prize in the world's biggest lottery is a far fetched notion, except that Christmas is also a time for miracles – even if does start is still November these days!